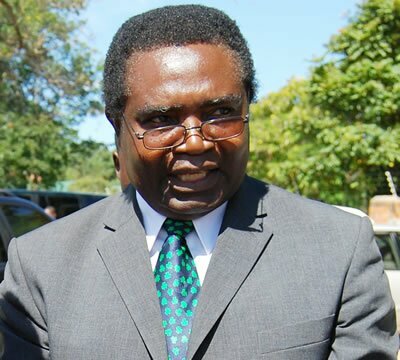 Treason should not be trivialized to penalise individuals criticizing the government, says opposition Heritage Party president Brigadier General Godfrey Miyanda. Miyanda said that those who got into public office by telling lies to win elections and once in office start abusing the laws they swore to defend and should instead be charged with treason. “There has been harassment and tampering with the rights of citizens especially those that have to do with freedom of assembly, free speech as well as independence of Judiciary. Such abuse by those in power is what must become treason today” he said. 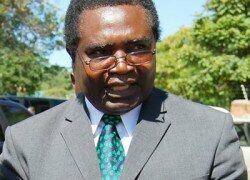 Miyanda said the law of treason in its present form has maintained its colonial character and was archaic, contradictory and irrelevant as it was not reasonably justifiable in the democratic dispensation of the country. He said the law was essentially designed to prevent citizens from expressing their strong sentiments against the ruling regime adding that such a law was anathema to citizens and was a hindrance to the on going independence journey and subtracting from the quest for unity. “Before our independence battles, while this law was in full force under colonial power, our founding fathers ignored it, actively denounced and challenged the colonial regime and succeeded. Simply put, they committed treason against Her Majesty the Queen. We gained our independence by committing treason” he said. He urged Zambians to prevail on the PF government to expunge from the statute books the treason offence and all related derivatives such as sedition adding” what must be treasonable is getting into office by telling lies and fostering deception as this was a way of preventing voters from ushering in a government of their choice”. Miyanda said Dr Kaunda’s regime decreed the establishment of Zambia as One Party State and under that decree it was an offence to belong to or form a political party other than UNIP. “I classify the imposition of One Party State as a treasonable act but its removal from our statute books was the most important and heroic achievement of the MMD. What is happening in our country under the PF which is mentored by Dr Kaunda is sending worrying signals about the re-introduction of the era” he said. The pf government is the worste zambia has ever had. Everything happening now in zambia is as a result of bad or poor leadership. These people promised zambians that the constitution was going to be ready in 90 days but now is more than 3years down the line. Whether they delay or not , they should know that what goes up must come down. Killings within pf is worrying because if these people can be killing each other like that, it means that they can have no mercy on the opposite side. But let them remember that their popularity went under when it was announced that they had won elections. Fighting if our traditional chiefs will not work because those have been there before they came to power. This reminds me the reason why our dear President for all zambians sobbed. It is disappointing that DR. Kaunda is failing to advise Sata. The pf government has done more harm than good. Economy is down to earth and now people are being arrested for expressing thier views and even put in jail on treason charges. This is a big lesson to the zambian people who thought better things would come. Only those close to them are enjoying now but they must remember also that in two years time they will be in jails like those that they are persecuting now. Masiku amatha ndikugona when you slee, the day is over and time is deducted. Zambians must continue critising this govt on its poor performance. People in villages are really suffering and i don’t think if today elections are held, can vote for pf. Please lets take note of those mps that have resigned to join pf and have caused those by-elections that come 2016, they are gone for good politically.